There was a time when my string of treasured Tiffany pearls was always around my neck. Before that it was a vintage hand-me-down of some good fakes or my mothers pearl stud earrings. I loved the glow they gave my skin and luxurious feel they gave any outfit. However a decade passed where they felt a little dated. A few years ago I found and fell in love with Australian jewellery designer Amber Sceats (ambersceats.com) and found my collection building due to her quirky, dreamy designs. This season the Pearl is back. BIG TIME. It suddenly feels cool and fresh again and I am jumping on that bandwagon. 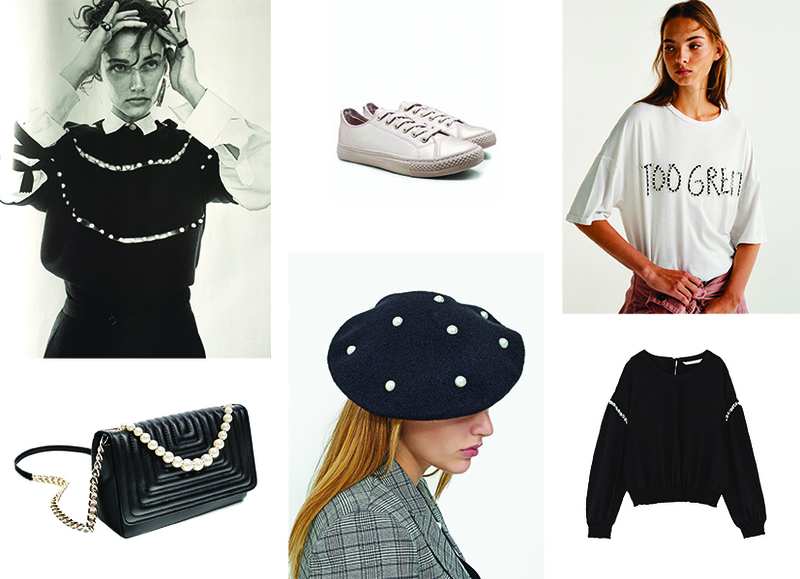 Here are my favourite pearly pieces on the High St right now.